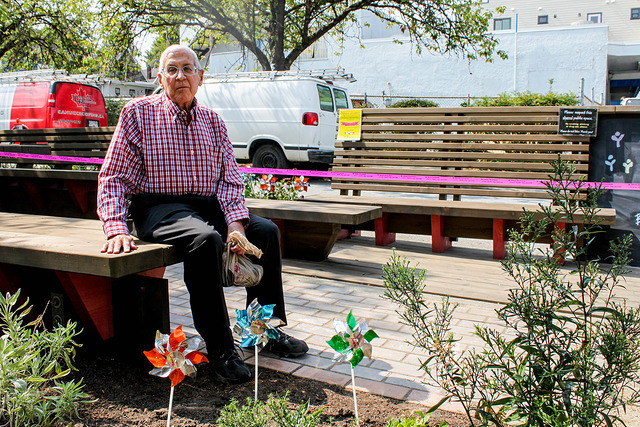 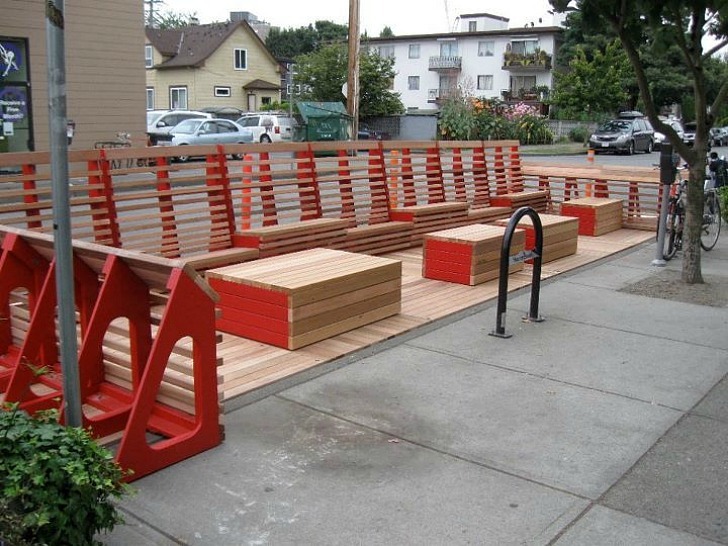 We’ve built a brand-new parklet! 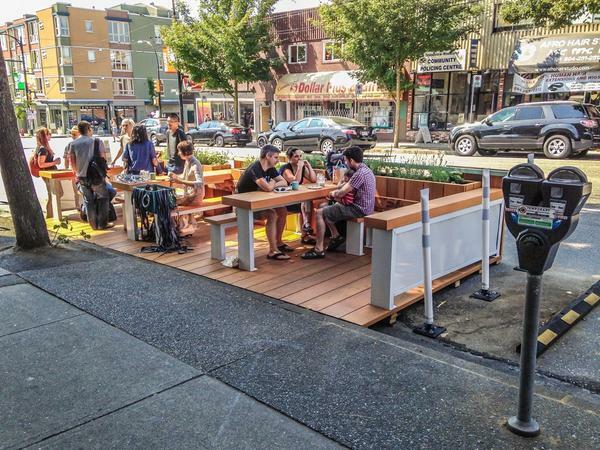 After three years of collaboration with many dedicated people, we have built a new public space outside our House. 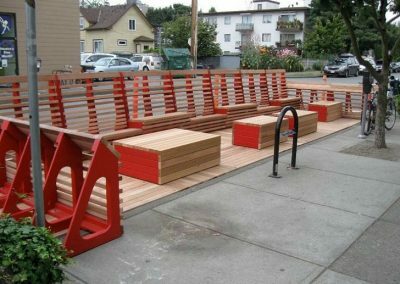 This upcycle parklet is an accessible front porch for the whole neighbourhood. 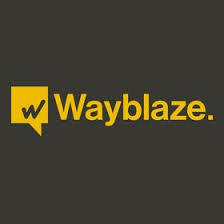 Thanks to the financial support of many organizations and individuals—including a successful Wayblaze crowdfunding campaign, worth $5,075—we’ve been able to bring the project to life! 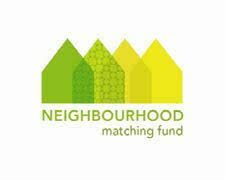 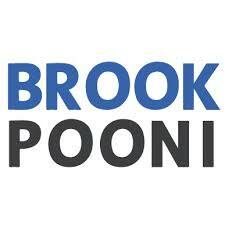 Hosting events that promote social inclusion in our neighbourhood! 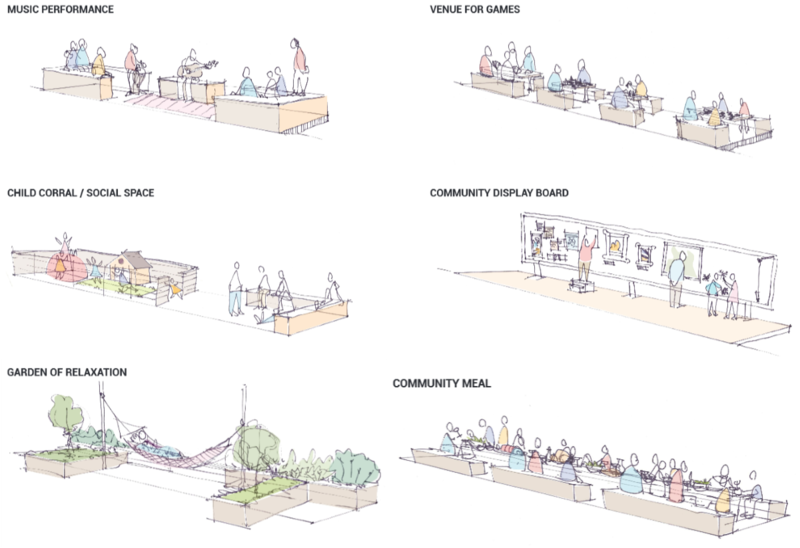 We believe in building better neighbourhoods and strengthening our community through placemaking. By building a parklet on Prince Albert Street, we’ve created a public space for neighbours and friends to gather, meet, chat, and relax outdoors! 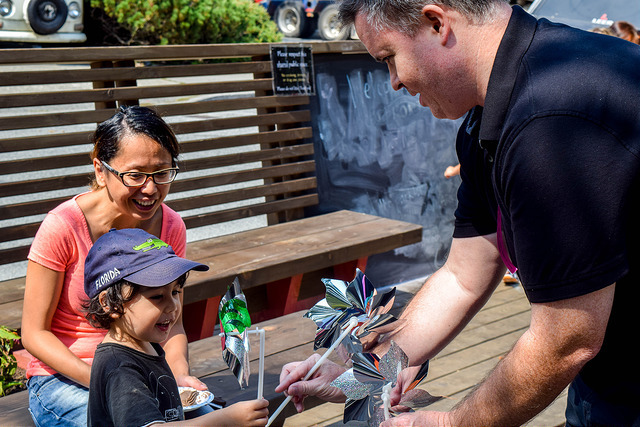 We hosted a parklet party on September 22, 2016 where over 200 neighbours joined us for BBQ, music, and shared their ideas on what they would like to see in the parklet! 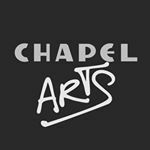 We gained 93 signatures and collected 20 surveys. 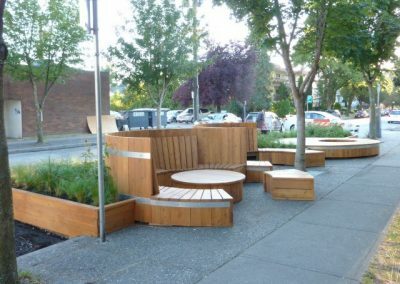 The parklet takes up two former parking spots in front of Mount Pleasant Neighbourhood House on Prince Albert Street. 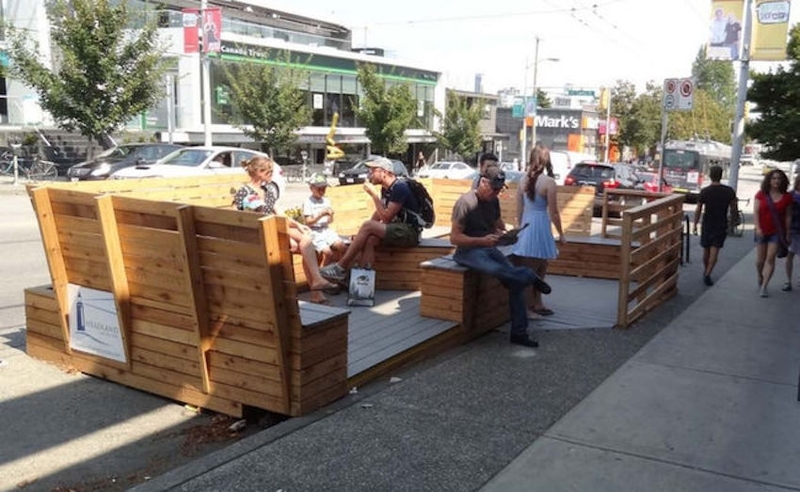 A parklet is a public space that sits on the street, transforming parking spaces to create a permanent fixture—normally made of wood—where people can sit, relax, and enjoy the outdoors. 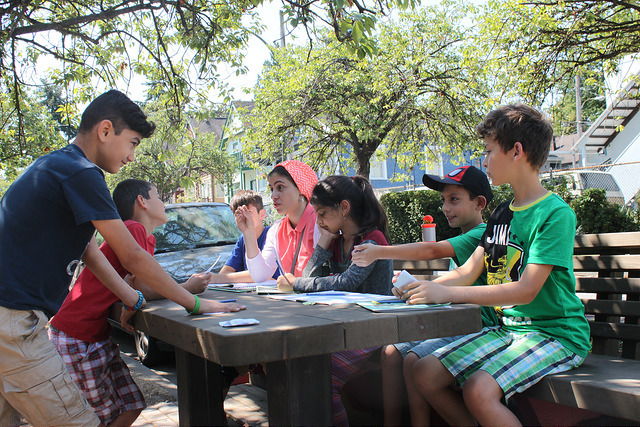 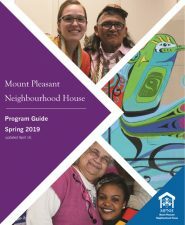 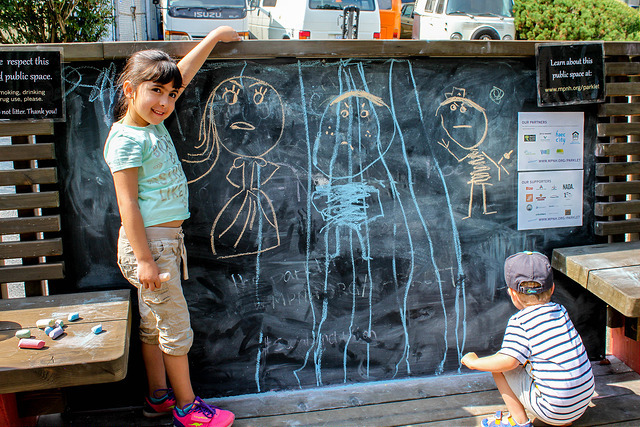 Since 2013, Mount Pleasant Neighbourhood House has been actively involved in engaging community members in creating projects that improve and bring life to the East Broadway area. 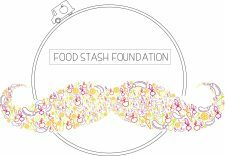 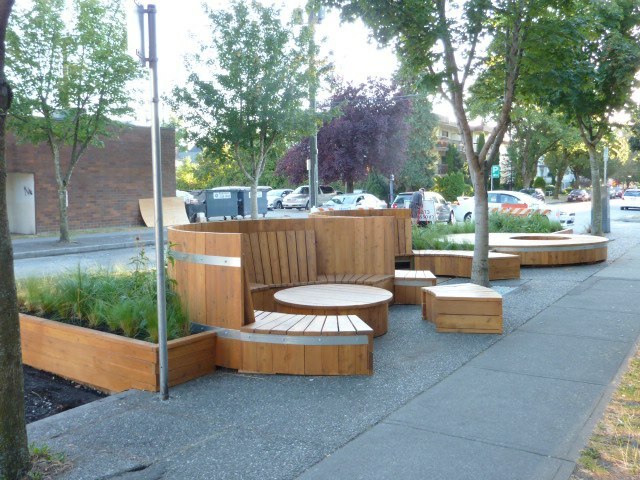 We have organized mural painting projects, street sweeps, and community festivals, placed planters on East Broadway, and supported resident groups to create beautifying projects, such as the Broadway East Art Walk and many others. 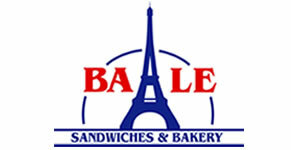 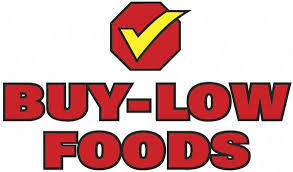 The local businesses have been a big factor in the success of these projects. 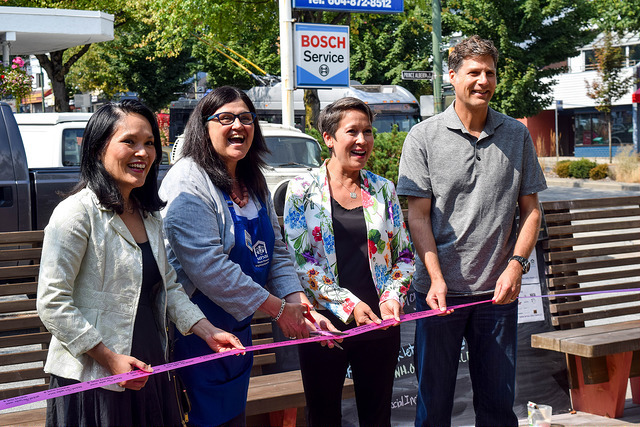 When the old Janssen building at Kingsway and Broadway was torn down, Rize Alliance gifted Mount Pleasant Neighbourhood House with several large pieces of wood from the demolition for the use in community projects. 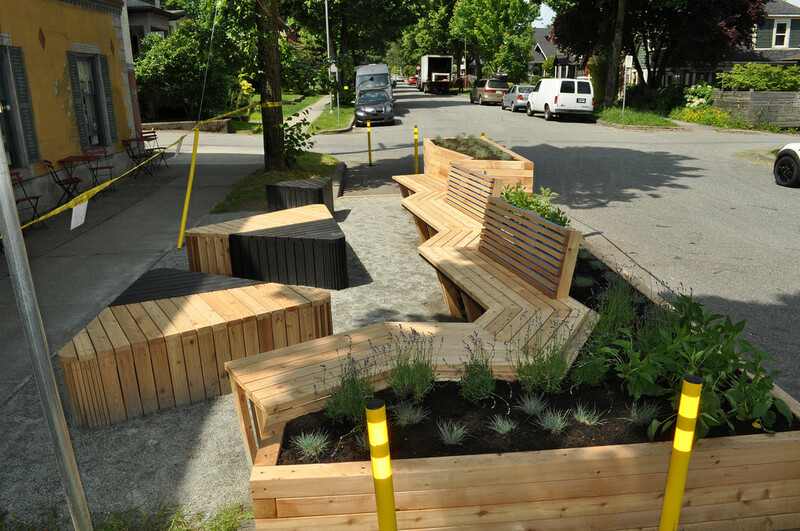 To date, one bench was created from recycled wood by Travis Hanks, a local architect, and it is located in front of the Neighbourhood House. 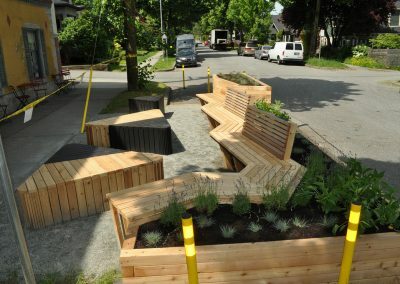 In 2017, Travis connected Mount Pleasant Neighbourhood House with Upcycle Vancouver and the Vancouver Economic Commission, as well as the Projects in Place Society. 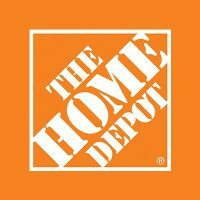 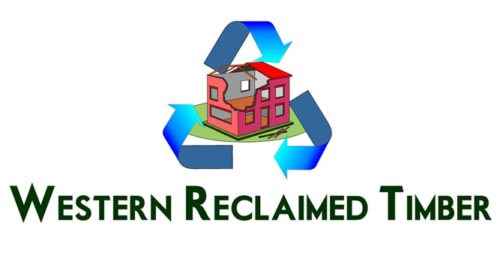 Together our organizations have been planning a project where the donated wood could be upcycled to benefit the community. 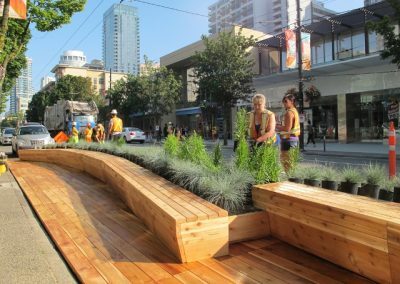 The group decided on a parklet to be permanently installed in place of two parking spots on Prince Albert Street—just off East Broadway. 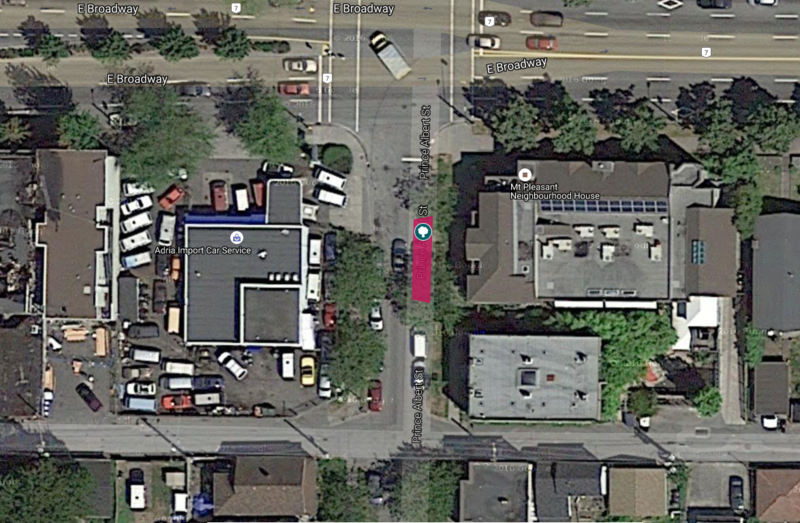 Prince Albert is a fairly quiet street, anchored by Mount Pleasant Neighbourhood House on the southeast corner at East Broadway. 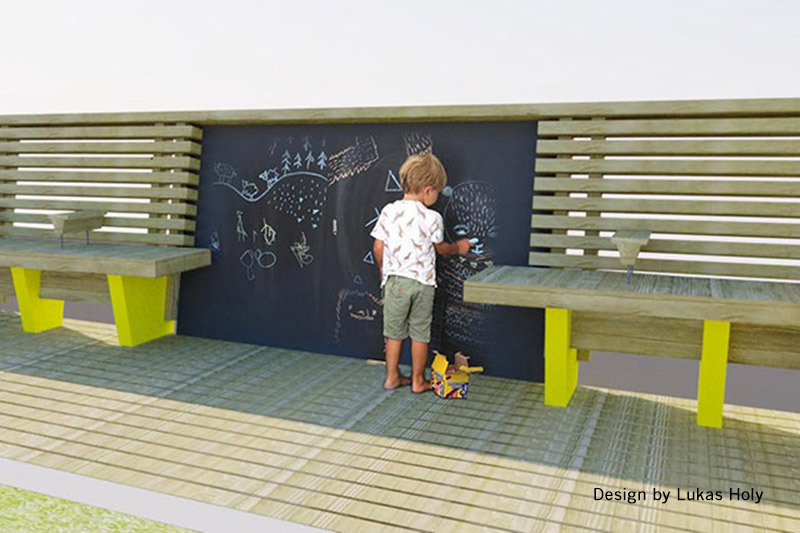 In recent years the green space next to the house has been upgraded with planter boxes filled with edible plants, and the first bench created from recycled wood. 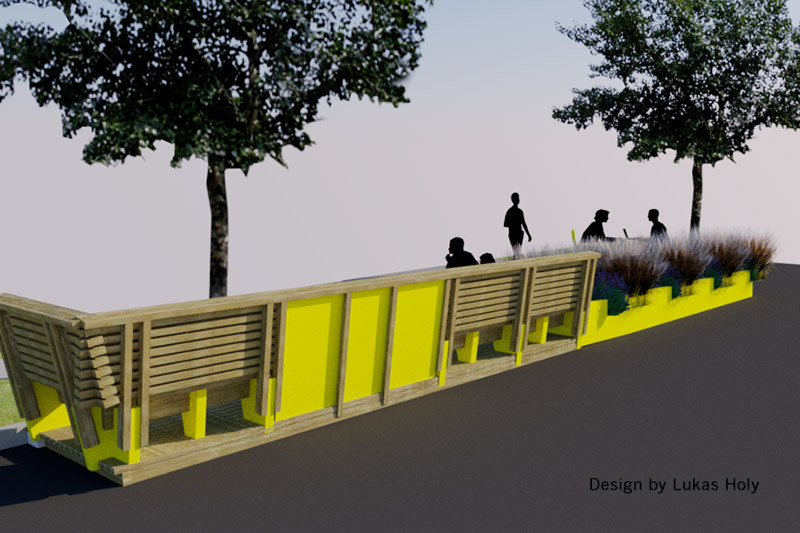 There is also a small community garden installed on the green boulevard between the sideway and the street. 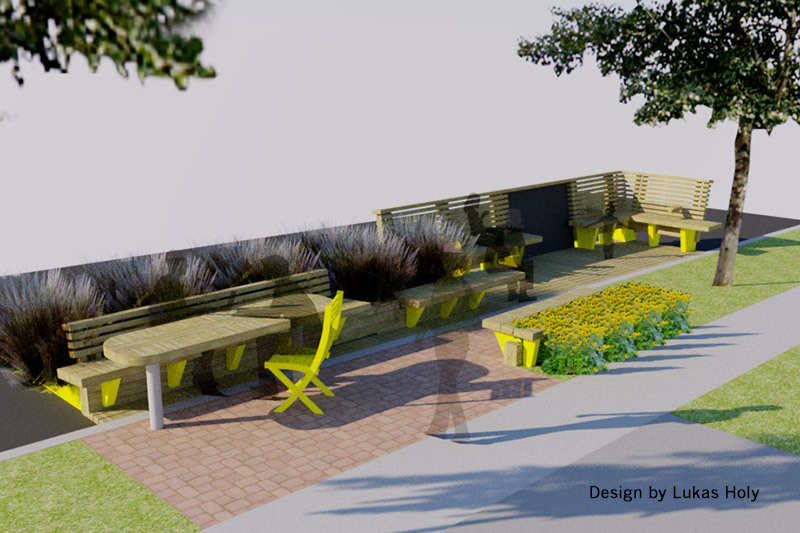 In July 2018, we converted two parking spaces into an accessible public area that connects to the garden and the green space right outside the House. 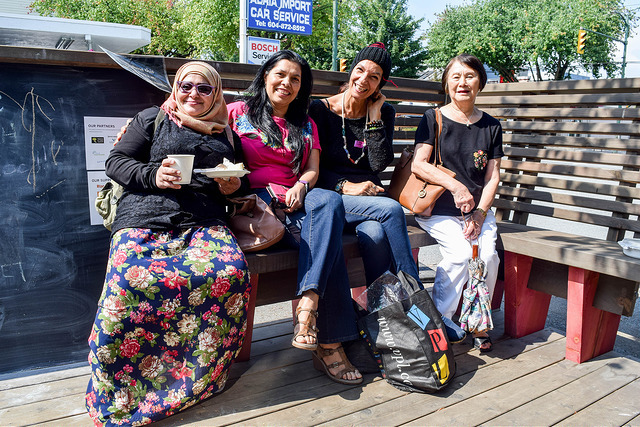 This new space is an inviting place where everyone in the neighbourhood can find a place to belong. 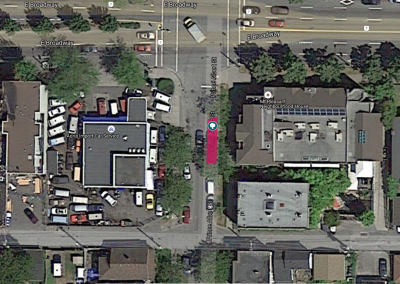 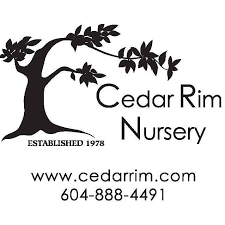 We submitted out initial application at the beginning of December 2016 and have now received final approval from the City of Vancouver. 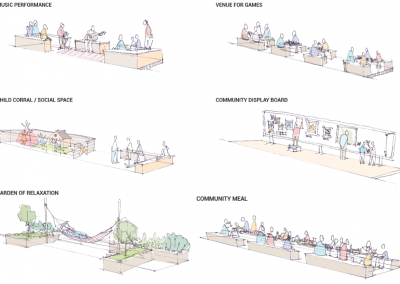 The City collected feedback from the community, throughout various stages in the process involving detailed design of the parklet and review. 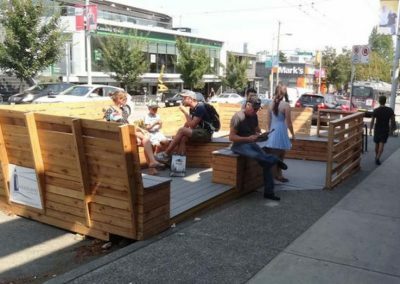 This is the City of Vancouver’s first-ever parklet with a non-profit partner. 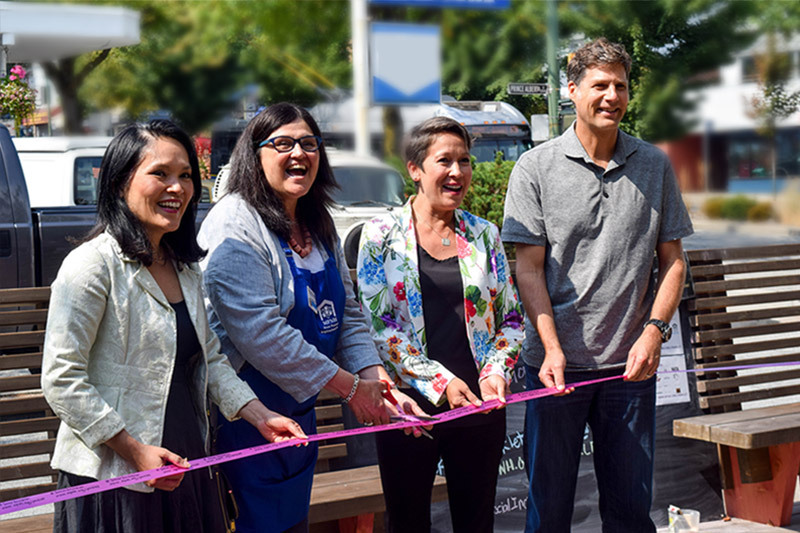 We hosted a ribbon-cutting ceremony for our grand opening on August 24, 2018, and we are thrilled to announce that the parklet is now open to the public!